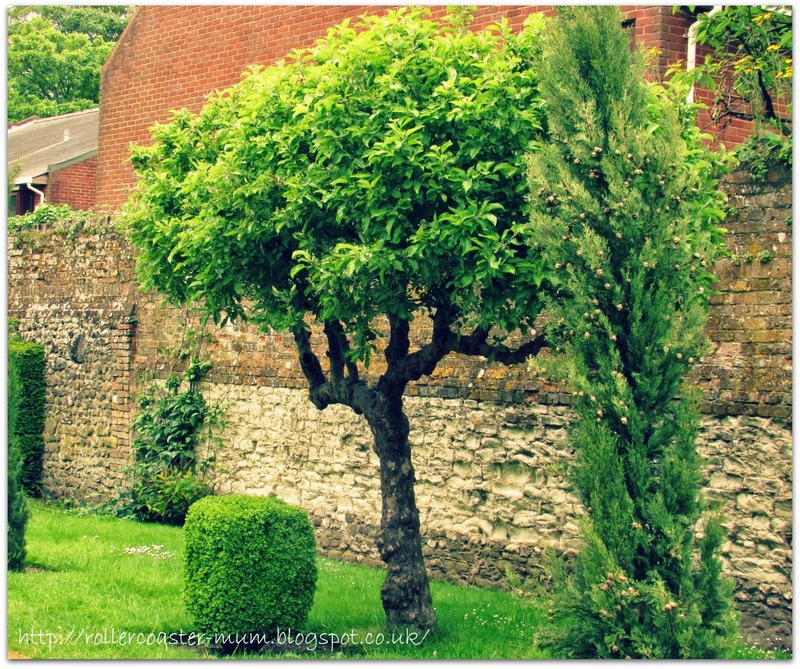 During a mostly very frustrating day of having to wait for the car to be fixed I spent a lovely couple of hours wandering around the small Physic Garden in the centre of the town, a visit I will mainly share with you another time. 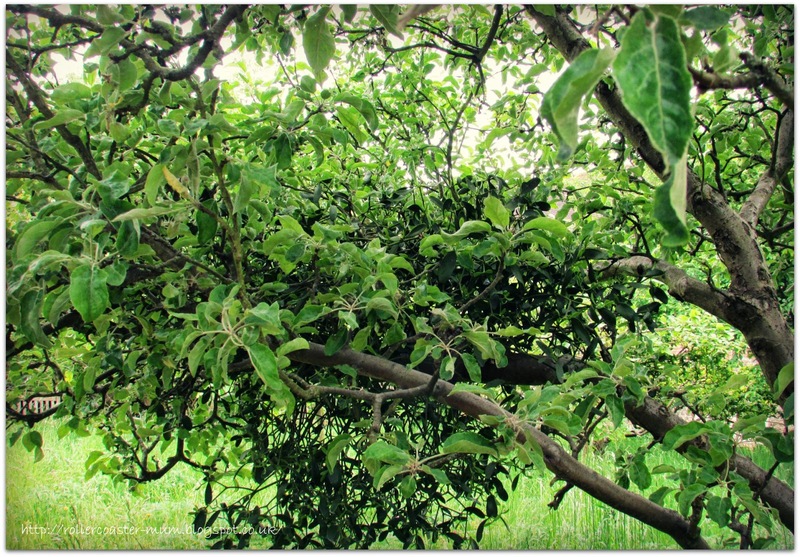 Part of the garden is a small orchard which, amongst the more unusual walnut, quince and medlar trees has of course some Apple trees. These are all beautiful old trees and one even has bunches of mistletoe hanging off it. So I had found my A.
I am joining on with the lovely PODcast's new linky - The Alphabet Photography Project - where every week we will post a photograph with the theme of the letter of the alphabet in order. 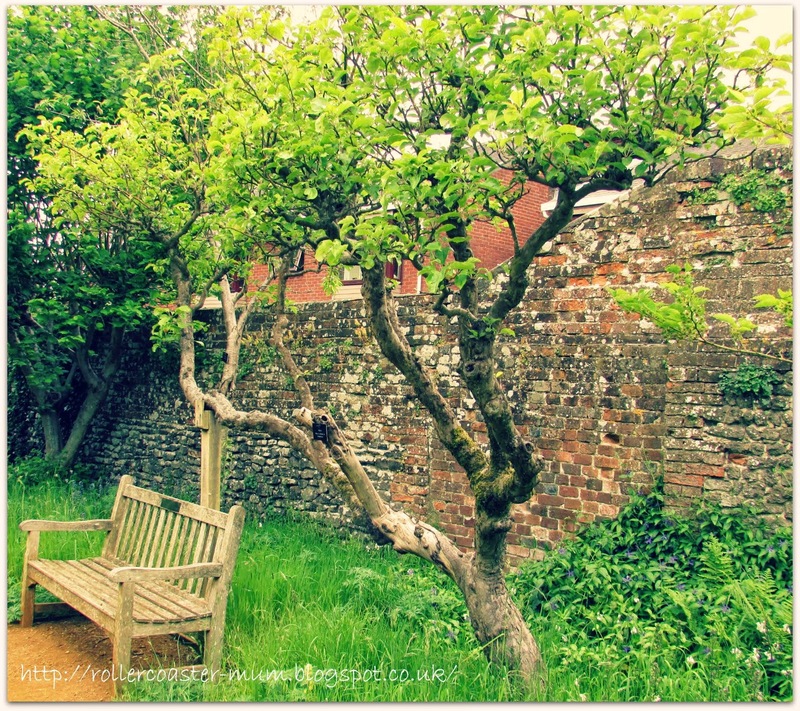 Great photos of the apple trees and I absolutely adore that old brick wall.